Life insurance is supposed to offer policy owners peace of mind. It’s supposed to provide them with the security that their families will be taken care of after they’re gone. But what if that life insurance policy becomes a burden, instead of a safety net? What if it becomes a source of financial stress, rather than financial security? This is a question that thousands of seniors struggle with when their life insurance premiums go up, or once the family members whom the policy was supposed to protect are grown and self-sufficient. Should they continue paying large amounts of money for a policy that they don’t truly need? Should they surrender the policy for just a fraction of the cash that they put into it over the years? Thankfully, there’s another option: a life settlement. In a life settlement, a policy owner – working with their financial professional and a life settlement broker – sells their life insurance policy for more than its cash surrender value to a licensed, institutional buyer. The policy owner – your client – receives a lump sum, and the buyer assumes all premium payments for the life of the policy. They also receive the death benefit once the policy owner passes away. The benefits of this transaction can be huge for clients who are dealing with significant or unexpected expenses, or who can no longer afford, or want, to keep paying the premiums. Take a senior couple whose children, the policy’s beneficiaries, are self-sufficient and successful. If that couple is struggling to pay for prescriptions, for example, or simply to make ends meet, selling that life insurance policy could become a source of freely available cash – instead of yet another thing to pay for. If the policy is necessary in any way, then a life settlement may not be the best fit for your client. But if, as is often the case, the policy is no longer necessary or has become too expensive, a life settlement could be an important option to consider. Paying for long-term care is a daunting issue for thousands of families across the country. As life expectancies grow, medical care improves, and long-term care costs continue to rise, we’re seeing more and more seniors needing long-term care for significant periods of time. This is putting countless families under severe financial stress. Many grown children are becoming members of “the sandwich generation” – adults who are helping to support both their elderly parents and their own children. Frequently, seniors who opt to do a life settlement put the resulting cash toward long-term care. That could mean placing it in a special account that makes payments directly to their long-term care facility. It could mean helping to fund care from an in-home caregiver. Or it could even be put toward paying a family caregiver, or helping to offset some of their bills or childcare costs. 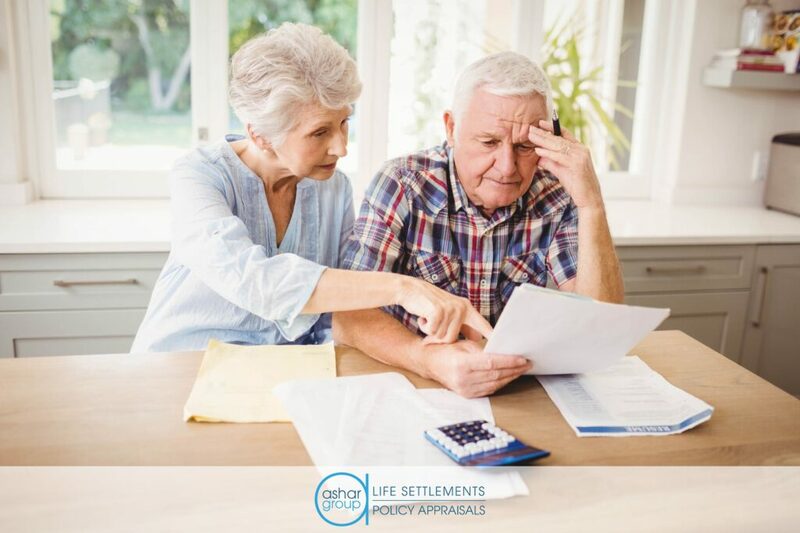 Since life settlements result in your client receiving more for their policy than the cash surrender value, they can be a much better option than just surrendering the policy. Life settlements conducted through a life settlement broker – like Ashar – are safe, regulated, and transparent. Many financial advisors aren’t aware of how useful a tool life settlements can be, and that often leads them to be wary of these transactions. Today, the life settlement market is strictly regulated. Working with a licensed, experienced life settlement broker like Ashar means that every step of the transaction process will be conducted in an ethical, responsible, and professional manner. What’s more, your client will receive the best possible value for their policy because a broker’s job is to create a highly competitive bidding environment that results in your client receiving the best possible offer.